As I’ve said before and will likely say again, memoir is a tricky proposition. Celebrity memoir is usually smug and self-serving, sometimes to the point of changing my view of said celebrity (are you listening, Art Garfunkel?). Non-celebrity memoir? Well, you’d better have had an interesting life. Some of that changes when one has something in common with the memoirist, and that’s certainly true of gay authors for me. It helps when the writing is sharp and the characters are focused, and that’s what saves Eric Poole’s Excuse Me While I Slip Into Someone More Comfortable. Eric Poole is determined to be Somebody. He just doesn’t know who. Or how. But he’s certain he’s destined for fame and fortune as a trumpet player…or an actor…or a singer…or a fashion designer…or a dancer…or a writer. But advertising? Well, it’s sort of writing. Assisting him in his search for the perfect occupation are his ultra-religious parents and a rotating cast of girlfriends along with his one, out gay friend, Kurt. Patient Kurt, who knows Eric isn’t Tommy Tune…or Barry Manilow…or Halston…but is gay. Reviewing memoir is just like reviewing someone’s life. You really can’t address character motivation or absurdity (or absence) of plot. You can’t carp about choices or discuss issues with what the author does or doesn’t do with his life. It’s easier with a memoir like Dennis Milam Bensie’s Thirty Years a Dresser, which depends on anecdotes about others. Poole’s book is all about his struggle to reconcile himself with his concept of himself and, at times, is as frustrating as I’m sure that was in real life. In that, Poole is quite successful. He portrays himself as clueless, a man backing painfully into life. His heartbreak is evident, but he can’t see it. The reader must do that for him. Poole’s insistence on cleaving so closely to reality is both nervy and unnerving. He doesn’t comment on his predicaments as one looking back but as one in the throes of them, which is alternately comforting and uncomfortable. His prose is, as said before, sharp and funny. He makes more judgments about himself than his cast of characters, and he manages, in terms of plot, to have a distinct beginning, middle, and end. And the ending is absolutely perfect. 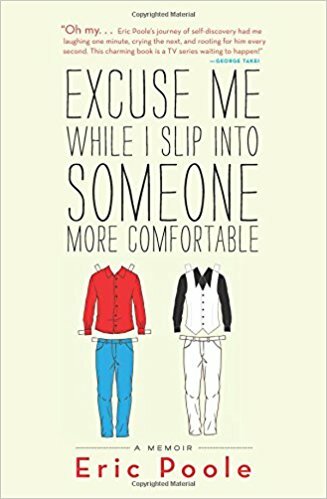 Excuse Me While I Slip Into Someone More Comfortable is a well-written, solid memoir that takes some chances and succeeds by virtue of some excellent writing and genuinely funny moments. Everything seems so transient these days. Maybe it’s just because I’m getting older, but nothing has a sense of permanence about it–politics, prevailing wisdom, common sense… Candy bars are smaller, Twinkies now have expiration dates, and even Archway windmill cookies don’t have almond slices on them anymore. 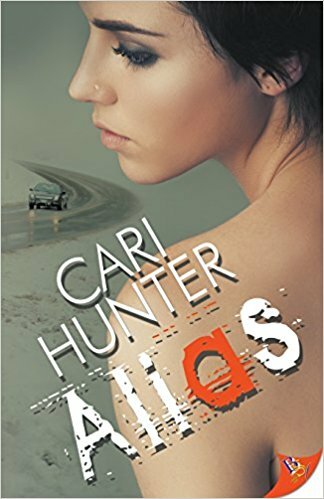 But Cari Hunter’s novels give you a kick as dependable as the sunrise and twice as exciting. Her latest, Alias, is no exception. In the aftermath of a car crash on a Welsh mountain road, one woman lies dead. The driver is alive, but she has no idea who she or the dead woman is. All she has to go on is an unfamiliar bus pass with her picture and a name she doesn’t recognize. She doesn’t even know what she was doing in a rented car in Wales. With the assistance of Welsh detective Bronwen Pryce, she unravels a mystery that may end up threatening both their lives. Hunter’s “Dark Peak” series is fast-paced and action-packed, and I wondered how she’d be away from those characters, and I can say she’s still bloody marvelous. The opening sequence with (I’ll use her bus pass name) Rebecca trying to escape from the wreckage with a dead woman beside her drops the reader into a nightmarish world you’re not allowed to leave. Hunter expertly ratchets up the tension, only deflating it long enough for the reader to breathe before another break-in or revelation happens. To say she has an aptitude for action scenes would be understating the case tremendously. The maddening thing about writing a review for this particular book is that I can’t divulge many details or risk spoiling the plot, thereby forcing Hunter to (rightly) send a goon squad after me. Instead, let me talk about how this doesn’t pander to an American audience. It’s unashamedly British/Welsh, with no explanation for some of the slang except context–which is perfectly fine by me. That was one of the chief virtues, among many others, of A Quiet Death from last year. I can figure out pretty well what “nowty” means. But as interesting as the slang is, the meat of Alias is all in the tension and suspense. The final revelation of who is behind Rebecca’s car crash is jarring and unexpected, but once I started thinking about it, the puzzle pieces fit together beautifully. Alias, then, is one of Hunter’s best rides–a rollercoaster with some mean peaks, some wicked drops, and left turns when you least expect them. Highly recommended, and I’m not just being nowty. As I started to write this review, I learned that Philip Roth had died. I remembered reading Portnoy’s Complaint and Goodbye, Columbus years ago, though I haven’t revisited them in a number of years. And it struck me certain parallels existed between Roth and Daniel M. Jaffe. I wouldn’t go as far as to call Jaffe the gay Philip Roth because that’s an awful burden to place on any author’s shoulders, and it’s not exactly correct. However, some of the same themes exist in their work, especially the exploration of the “promiscuous instincts” Roth has written about in numerous essays. 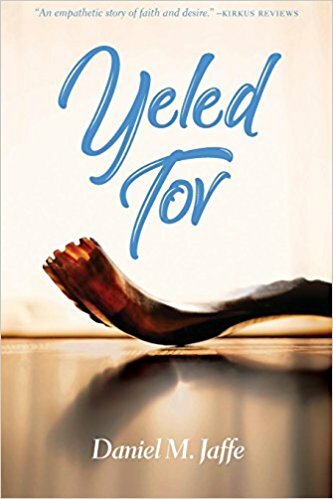 Those instincts are on full display in Jaffe’s latest work, Yeled Tov. More than anything, Jake Stein wants to be a “good boy” (yeled tov), but he has much to contend with. He lusts after men at shul. He lusts after the guy who plays Peter Van Daan in his high school’s production of The Diary of Anne Frank. He lusts after his childhood friend, Dave. He lusts after his college roommate, Ted. He’s a bundle of lust, which is what he tries to explain to God when he talks to him. But God isn’t exactly sympathetic, and dates with nice Jewish girls don’t help much. All this tsuris and mishegas has to have some long-term consequences, leading Jake to a very bad decision. Suicide. Okay, that’s not as much a spoiler as you might think. Jaffe doesn’t leave Jake with many other options, and though it wasn’t telegraphed, it was certainly the end of a logical progression. But the real import of this novel is in Jake’s journey and how he gets to that end. The examination of his “promiscuous instincts” aren’t uniquely Jewish or uniquely gay, but those two spins on the concept give the events here a universality I really enjoyed. Gay men and women aren’t as free to act on those instincts as their straight counterparts, and the additional barrier of trying to adhere to the teachings of the Torah only complicates the matter. And Jake is a yeled tov. Sure, he lusts and gives in to that lust but he pays for it in guilt, and he never puts the moves on any object of his lust. He not only doesn’t want to be found out, but he doesn’t want to add to their burdens by making them reject him. Early on, his father gives him a sage piece of advice, albeit about women: “Whatever you do, never hurt the girl.” Jake has internalized this message, ensuring that he will be a yeled tov no matter who or how he loves. He just hasn’t realized it. 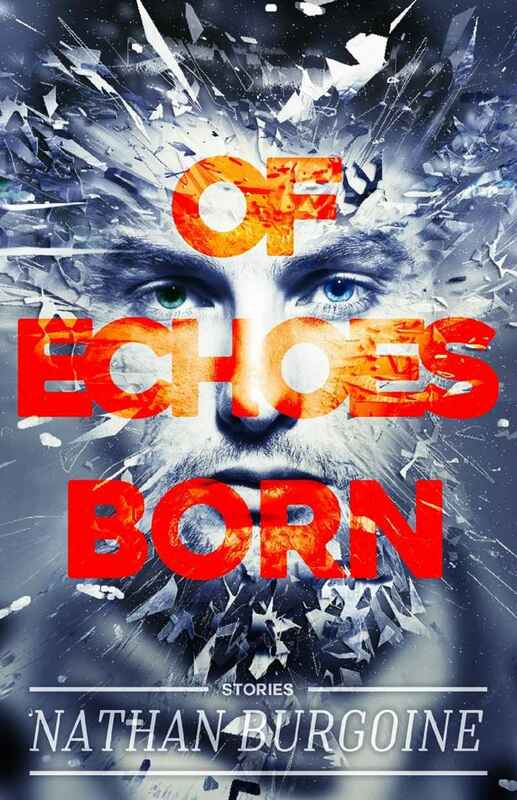 Jaffe takes on Jake’s story with a keen eye for detail and a good ear for dialogue. Jake’s discussions with God are very well done, and the one near the end of the book will bring a tear to your eye as both he and God come to peace with each other. It did mine, anyway. And I’m an atheist.